Let's go for a cleansing with Avril Organic Cotton Pads ! Before going to bed, gently remove impurities and makeup traces thanks to its 100% organic cotton fibre composition. Cotton Discs for Cleansing April are pleasant to the touch and do not attack your skin! To maintain a beautiful skin, never zap step up removal before you go to bed ! 1) Start by using the serrated side solid cotton with your makeup remover , this face can tackle the toughest make-up without fluffing. Mascara, khôl ... nothing can resist! 2) The smooth side gently clean your skin, the fine fibers catch the smallest impurities. 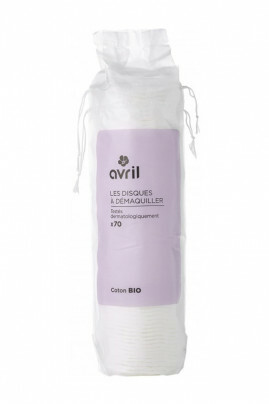 100% Organic Cotton Pads with AVRIL !